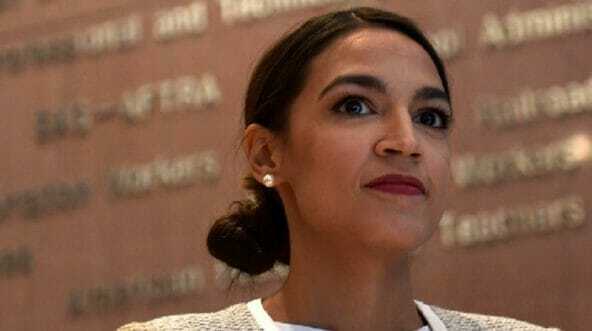 Rep. Alexandria Ocasio-Cortez has a new excuse for her strange accent at the National Action Network conference last week: Code-switching. In case you’re unfamiliar with the controversy, here are the basics: At the predominantly black conference last week, the New York Democrat seemed to adopt a Southern drawl when talking about menial work. Once the incident garnered attention, Ocasio-Cortez quickly went on the defensive. People still didn’t seem to buy that, so we got a new explanation: She was just code-switching. no different from speeches she’d given previously, which was clearly false. But it is interesting to note. But you are not black or Southern. I am a third generation New Yorker. 17th generation American none of my family is friends from New York speak in the dialect you did at NAN. You mocked black people. We won't forget it. And then others pointed out the obvious. is meant to avoid seems pandering as well. anything of that nature — and minority Twitter users realized that. Ocasio-Cortez’s excuses in this matter by now. she’ll come up with next. cycles for this story to remain fresh.